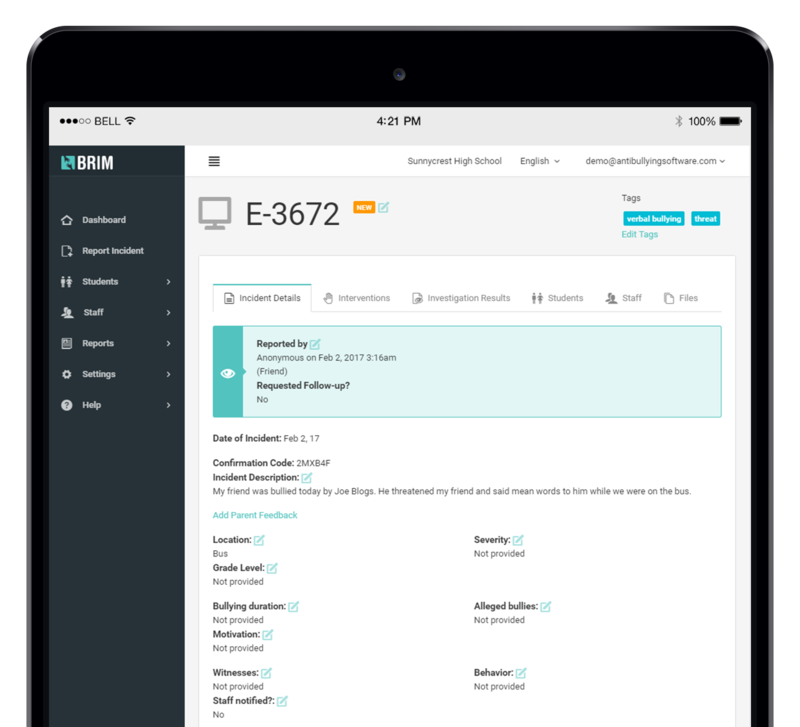 Standardize How Your Schools Prevent, Report & Track Bullying & Safety Incidents with the BRIM Platform. BRIM pairs a smart, cloud-based incident management panel with mobile reporting apps for students, parents and teachers. Better communication is your first step to building better school culture. 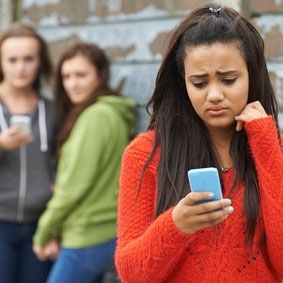 BRIM’s incident management system is designed for school districts looking to implement a consistent framework for anonymous reporting and investigating bullying across their schools. BRIM’s powerful analytics gives district administrators immediate, deep visibility into bullying at each of their schools. 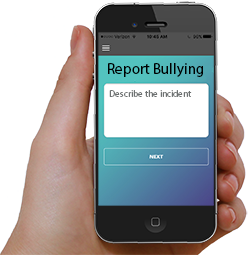 The BRIM mobile reporting app empowers students to safely report bullying turning bystanders into upstanders and creating a powerful deterrent effect that prevents future incidents. By helping schools capture all incidents, BRIM helps administrators resolve situations before they escalate. 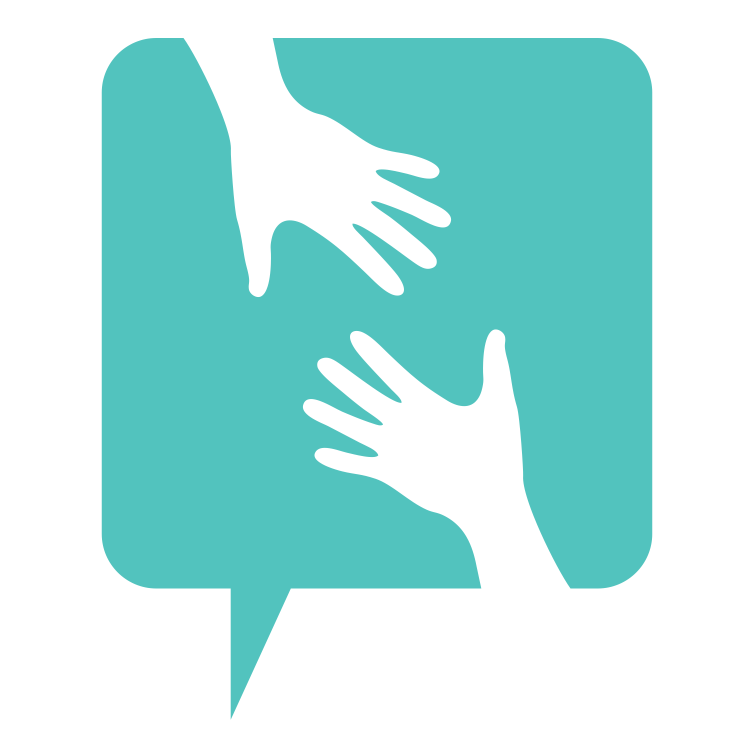 Safe, confidential reporting empowers victims and turns bystanders into upstanders. Helps districts enforce a consistent framework for reporting and investigating bullying in their schools. Flexible pricing for schools and districts of all sizes. Affordable annual license with no setup fees or additional maintenance costs. Easily integrates with your current workflow. We offer several Single Sign On (SSO) options as well as API integrations with your SIS. BRIM is hosted in a secure datacenter and uses industry leading end-to-end encryption to secure your connection. 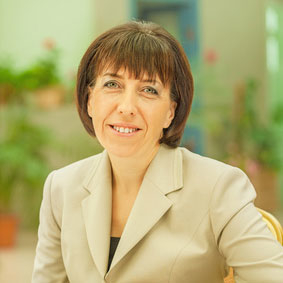 Increases your efficiency by helping you search, organize and track records quickly and easily. 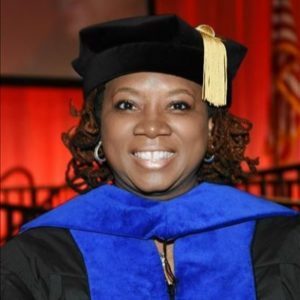 Identify trends on campuses by running reports and reviewing data graphs. BRIM helps standardize how your schools report and investigate bullying. BRIM gives district administrator instant, deep insights into the situation on the ground at each school. BRIM creates a powerful deterrent effect preventing future incidents and leading to a positive school climate. Our mission: to bring about a world where all kids can go to school and learn in an environment free from harassment and bullying. The hardest thing for bullied kids to do is come forward to their teachers and parents. No kid wants to be labeled a “tattle tale” and so most kids keep silent and take the abuse from their aggressors. Like 70% of middle school and high school students, I was bullied in school. I know personally the negative effects and fear that come with being bullied. I came through it alright, but there are too many kids that don’t.